lead directly to LaBelle Cemetery. 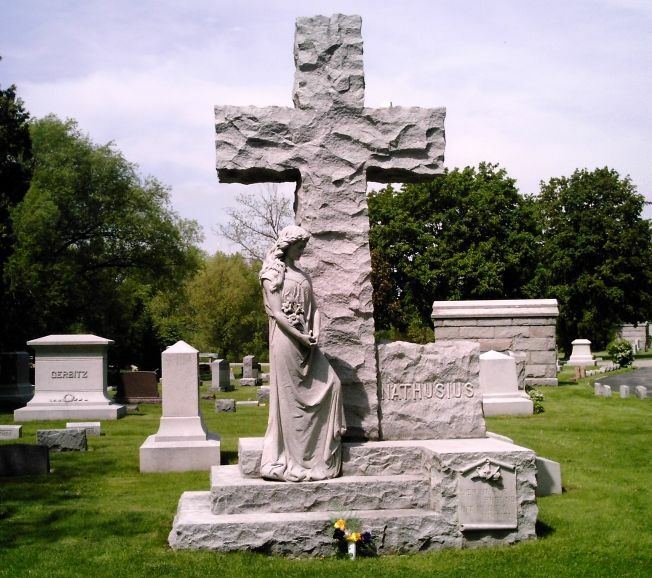 Oconomowoc's first cemetery was created in the early half of 1851, and sat in area off of Walnut St. (near Wisconsin Ave.). 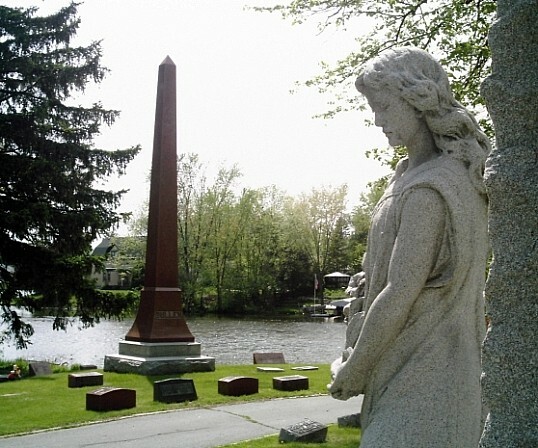 In 1864, with the city's population growing, the Oconomowoc Cemetery Association decided that a new location for the city's cemetery needed to be found. 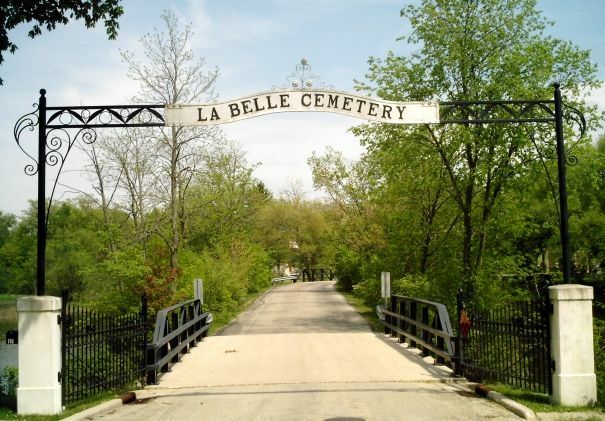 The decision was made to put the new cemetery along the banks of Lake Fowler, and with that, La Belle Cemetery was born. Remains from the first cemetery, were reinterred at La Belle, and ever since that time, with it's "hilly" landscape, and unique gravestones, La Belle remains one of the most scenic cemeteries in Waukesha County. Equipment malfunctions (the wooded area near the Lapham St. entrance). 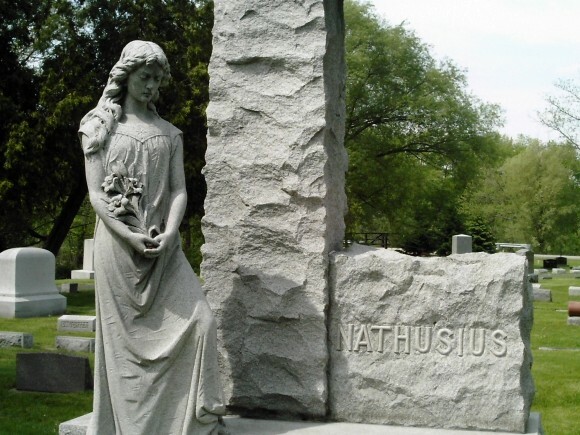 the cemetery, and around the Kohl family vault). Crypt doors that open on their own. lowers herself into the lake. Equipment malfunctions (everything from cameras to cars). Cold spots around the statue. 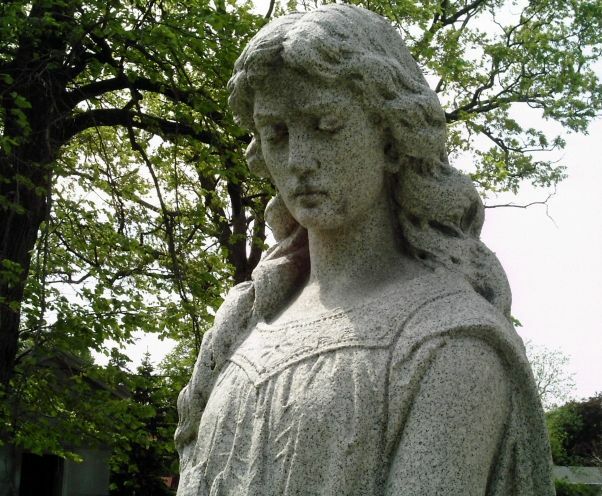 Some witnesses have claimed that they have seen blood drip from the statues hands. Physical illness. Even cases of blindness. Of the four people buried in the Nathusius plot, two are females. The mother, Louise Nathusius (1832-1917), and daughter, Carolina Nathusius (1865-1952). Neither one was young at the time of their deaths.The Nathusius family did have two other daughters, that did die at an early age. Anna died in 1862 (she was 2 years old), and Minnie, who died in 1886 (at 27 years old). 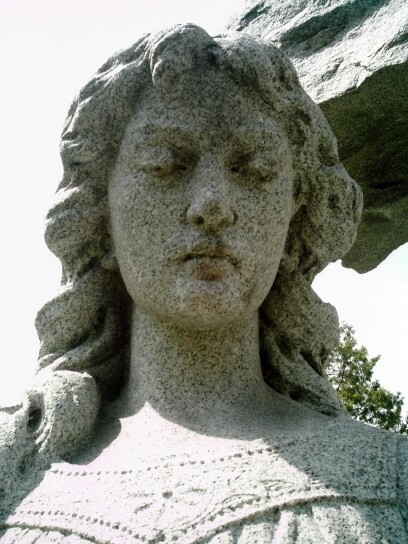 Both were buried in Dodge County.It is rumored that the statue at LaBelle, is actually supposed to be that of Minnie. East Grove St.), and into Fowler Lake. The Nathusius monument was erected in the 1940's. 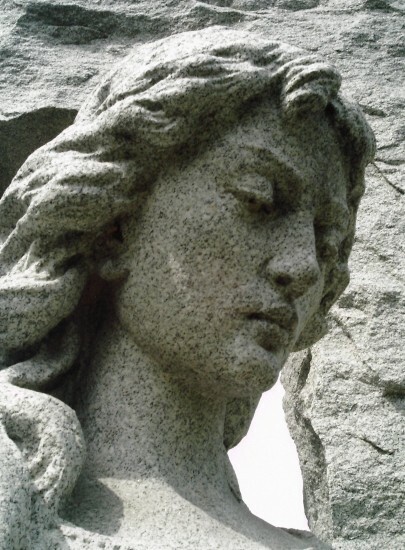 It is an original sculpture done by an Italian artist, who was living in Vermont, at the time. 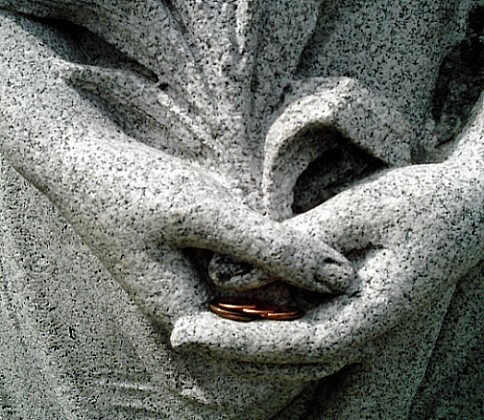 Today, some visitors to the Nathusius gravesite, leave pennies in the hands of the young woman who stands in mournful vigil over the Nathusius family.